How many ads or commercials do you see nowadays where you wonder what the heck it was all about? What was the product? What does it do? And why should I care? 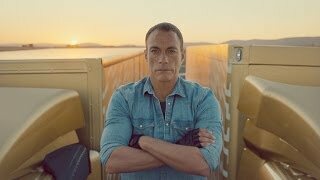 So well done Volvo for this simple and direct commercial about Volvo Dynamic Steering (not the sexiest subject in the world). It makes a compelling and memorable point about the product. Why don’t other brands take this approach? Because all too often they have nothing in the way of product features to make themselves remarkable. Which is why their commercials use special effects, clever editing and spurious production techniques – it’s to distract your attention from the fact the product has nothing remarkable to say for itself. Yes, it’s a great commercial. But it has only been made possible by the fact that Volvo made a great product in the first place.